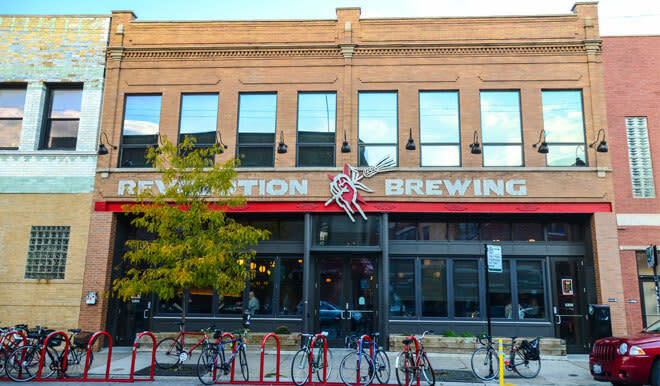 Revolution Brewing is Chicago's new hometown craft brewery. 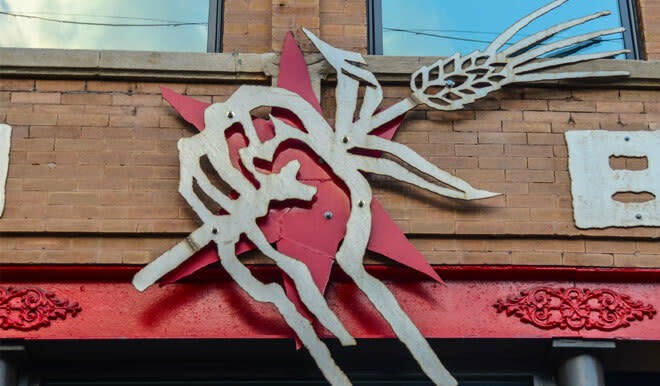 Our brewpub in Logan Square is a bustling, neighborhood institution where friends and families meet to enjoy the freshest beer in town. Opening our brewery has been a labor of love. We think you can see that in everything we do ranging from the details of our carved fists holding up our mahogany bar to the pungent hop aroma of our Anti-Hero IPA to our creative dishes like our bacon-fat popcorn.